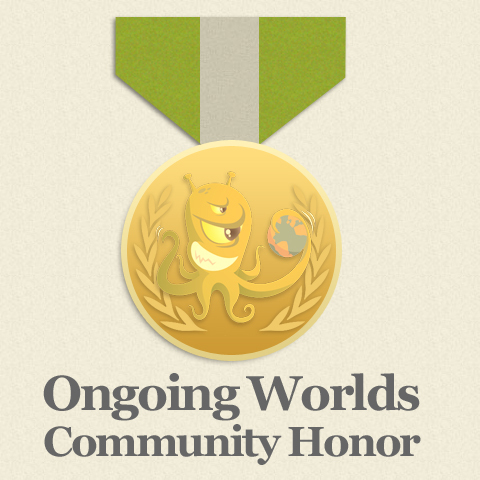 It gives me great pleasure to present the Ongoing Worlds Community Honor (OWCH) to Emily Wake for outstanding articles published on the Ongoing Worlds Blog. Indeed, she has written eight articles dating back to August 21st of this year about various simming and online role playing topics. Her tips are must reads for anyone who enjoys our craft! You can read them all here.